Did you know that behind only smoking, radon is the #2 leading cause of lung cancer? It’s a scary fact, with testing and prevention even more pressing in our tri-state region where radioactive radon gas levels are well above average. Virtually undetectable without the proper tests, radon can seep into buildings and homes by way of cracks in the foundation and other openings. The indoor air can then become polluted with high concentrations of the dangerous gas, and the consequences can be dire. 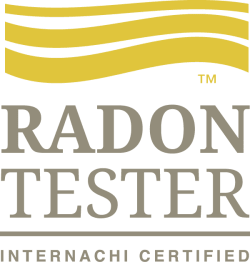 Tri-State Smart Home Solutions is a National Radon Safety Board Certified organization, recognized as a certified radon tester in Ohio, West Virginia, and Kentucky. Because we use the latest in active radon monitoring equipment, we are in a unique position to have results available immediately upon testing completion. Is Radon Testing Really Necessary? If we detect high concentrations of radon in your home, the good news is it can be fairly easy to reduce indoor radon levels. Get tested and put your mind at ease today! For more information on radon, radon testing, causes, and health impacts, visit: https://www.nachi.org/radon.htm. Check out a Tri-State Radon Test Sample Report here.